As the U.S. Senate and House attempt to resolve differences in their tax reform bills, Emory will continue to advocate against provisions that could negatively impact the university's students, faculty and staff. The Senate passed its tax reform bill early Saturday morning on a 51-49 party-line vote, with Sen. Robert Corker (R-Tenn.) joining Democrats to vote against the bill. The measure contains significant differences from the legislation passed by the House on Nov. 16, including several key issues impacting Emory and other colleges and universities, according to Cameron Taylor, Emory's vice president of government and community affairs. The House can now vote to approve the Senate version of the bill, or the House and Senate can work to reconcile differences in their bills through a conference committee to create one piece of legislation that can be approved by both chambers and sent to President Trump to sign into law. "While we are pleased that some provisions from the House bill that would be damaging to higher education were omitted from the Senate bill, we will continue our advocacy efforts to ensure that they are not returned to the legislation through a conference process, and to oppose measures in both bills that could hinder the Emory's mission," Taylor says. The tuition waivers many graduate students receive would be taxed under the House bill, and students and leaders in Emory's Laney Graduate School spoke out strongly against this provision. The Senate bill leaves graduate-student waivers untaxed. Undergraduate-level tuition waivers to Emory employees and their dependents would be taxed under the House bill. Employees would have to pay taxes on these benefits as income. The Senate bill would not tax courtesy scholarships. The House bill eliminates a variety of deductions related to paying for higher education, including up to $2,500, for interest on student loans; the Hope Scholarship Tax Credit, worth up to $2,500; the Lifetime Learning Credit of up to $2,000; and the $5,250 corporate deduction for employee education-assistance plans. The Senate bill keeps these deductions intact. The Senate tax bill also kept in place several other provisions that could negatively affect how colleges and universities raise and manage funding. Despite intense advocacy from many universities, both the House and Senate versions of the tax reform bill include a tax on the investment income of a select group of private colleges. The House bill taxes about 65 colleges — those that enroll at least 500 students and have assets of $250,000 per full-time student. The Senate bill limited the pool of colleges that would be taxed to those that have assets of $500,000 per full-time student. That would translate to fewer than 30 institutions, including Emory, and could decrease the funding available for fulfilling the university's mission. As a large academic health center, Emory's endowment includes funds for both the educational and health care enterprises, including funds not only for student financial aid, but also for patient care, clinical research, faculty chairs and undergraduate programs, among others. "Nineteen House Republicans are on the record opposing the excise tax," Taylor notes. "We will continue to advocate for its repeal." Both the House and Senate tax reform measures would almost double the standard deductions available to taxpayers. As Emory President Claire E. Sterk explained in an Oct. 31 letter to Georgia's representatives in the House and Senate, "an increase in the standard deduction, without some mechanism such as a universal charitable deduction, would affect the vast majority of taxpayers who would then have no incentive to make charitable contributions. "Major giving begins with small annual gifts, and younger donors who no longer itemize because of an increase in the standard deduction would no longer have a tax incentive to donate money to charitable organizations," Sterk wrote. 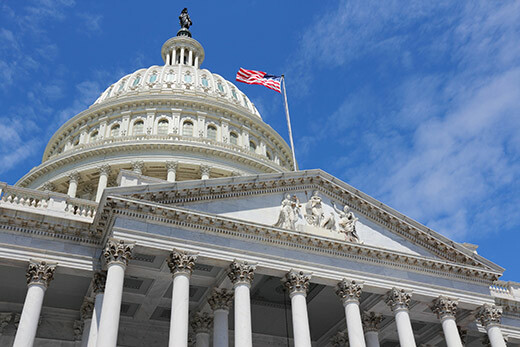 "Both the House and Senate bills would prevent us from making use of tax-exempt advance refunding of bonds to secure facilities and equipment necessary to meet our mission," Taylor says. The House includes private activity bonds; the Senate does not. Private activity bonds were used to fund the new Emory University Hospital tower and the Chemistry Center addition. In addition to these and other specific provisions in the Senate and House bills, universities are concerned about projections that the Senate bill could increase the federal deficit by at least $1 trillion, with the House legislation projected to increase the deficit even more. This could lead to future attempts to lower the deficit by cutting federal spending, including in health care and higher-education programs. "Emory's Office of Governmental Affairs will continue to engage lawmakers on these issues, and we encourage the Emory community to keep contacting their representatives to make their voices heard," Taylor says.